Protect your mattress while adding softness to your sleeping environment with the Beautyrest Ultimate Protection mWaterproof Mattress Protector. This protector features a 200 thread count cotton for a soft and luxurious compliment to your bed. The pad is also waterproof and stain-resistant making it an ideal option for a child's room. 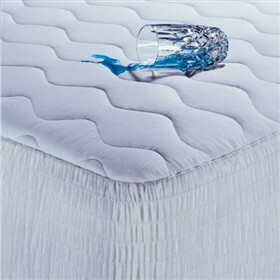 The Ultimate Waterproof MP Queen Size has many exciting features for users of all types. The Ultimate Waterproof MP Queen Size is sold as a Brand New Unopened Item.